Guys and gals, I am tossing up as to whether to fork out some cash on this well worn Blitz smic. Seller want a few hundred bucks for it, but the thing looks like it has done the Paris-Dakar rallyfor the past ten years. Thing is, has anyone re-cored one of these things? I think the asking price is reasonable as these smics are hard to find and quite expensive, but can it be done, and, more importantly, is it worth it? Visit Big Hugh Ness's homepage! If you can find a good core that fits, having it welded in shouldn't be a big deal. But, the trick may be finding a proper size core to have welded in - it could be more expensive all in than just buying a better shape IC. Also, from the pic it really just looks like the fins need straightening and give them a clean up. As long as the fins are straight and letting air pass through it should work fine. It's mainly cosmetic and that face of the IC won't be seen in the car. Some patience and a toothpick, and you could straighten out most of those fins to fix'er up. 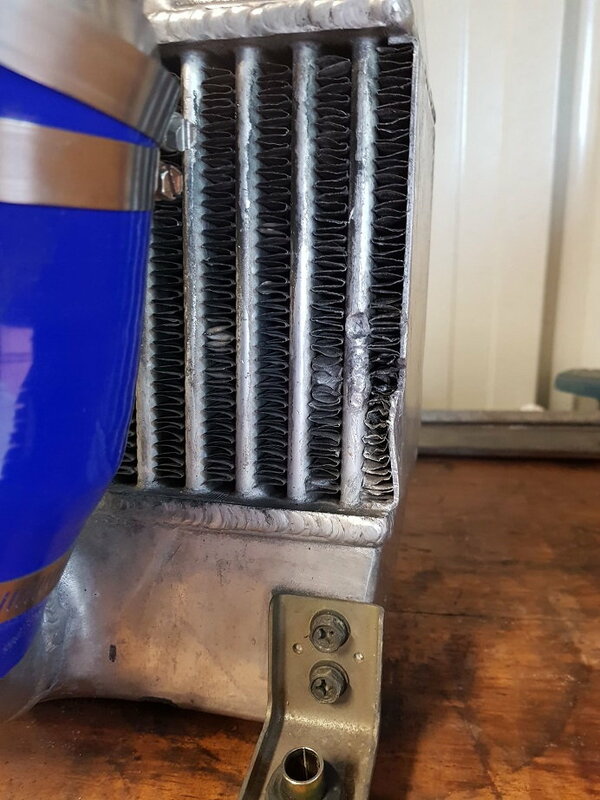 There was a thread about this kind of thing awhile back... https://www.rx7club.com/3rd-generati...eferb-1132504/ In the US there are some firms that offer refurbishing services for heat exchanger cores, there may be something like that in Australia. Here's probably the worst "damage" to the ic. Seller assures me it doesn't leak. But even with this damage, it's probably worth getting all the same. I have tried a dozen radiator shops and most say they "used to do it, but they don't anymore because it's not worth it." In other words, labour costs make it too expensive. Seller is asking $400 for the ic, but I am thinking with that, I could put the money on a nice v-mount. A lot more messing around to get a v-mount set up, but probably worth it in the long run as I am contemplating going single some time down the road (i.e. when that big lottery win comes home) Thanks for all of your input, guys. it wouldnt be worth it. For the amount of work they might as well build you a new one from scratch. About $1k will get you a custom job from a reputable aussie shop like Dandy race radiators for eg. like everyone says, if it doesnt leak and you cant see it the just straighten the fins and give it a clean and job's right. 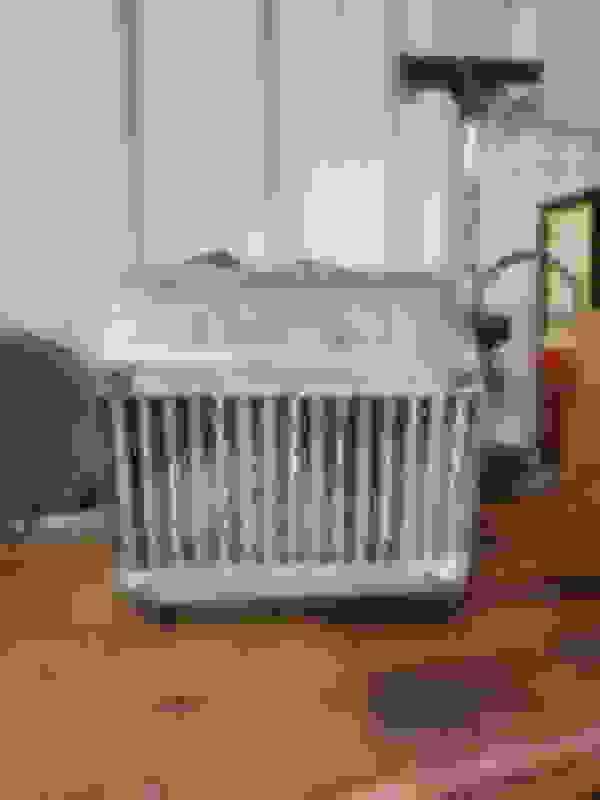 Instead of trying patience dicking around with jeweller's screwdrivers, etc, you might be able to salvage that with a radiator comb, they're pretty cheap to buy. If the cosmetics are important, I might contact Alex at Plazmaman and see if he's got a core in that size range, I've made tanks for radiators in the past, not a huge task with a pan brake and a few appropriate tools....looks easy enough to cut off and retain those tanks though, if you wanted to go that far and retain the JDMishness.